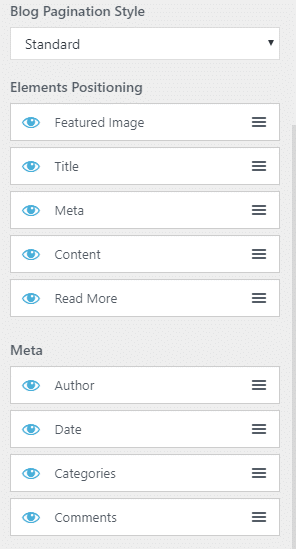 If you build WordPress sites with page builders, you’ve probably come across OceanWP. 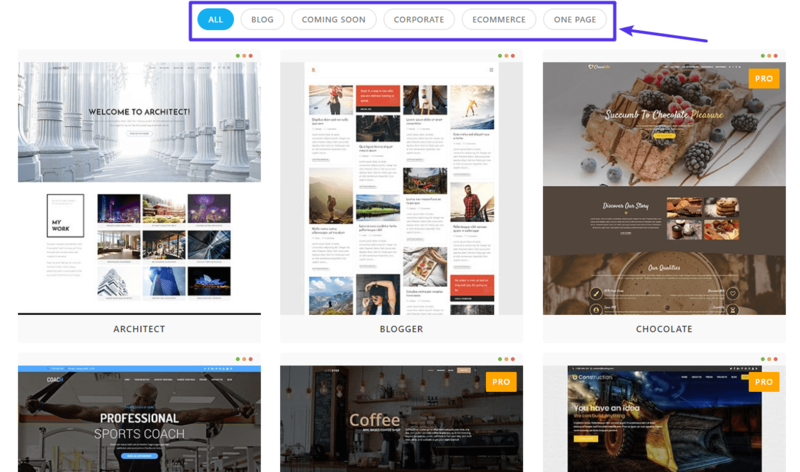 Along with GeneratePress and Astra, it forms the “Big 3” of popular themes to pair with WordPress page builders. 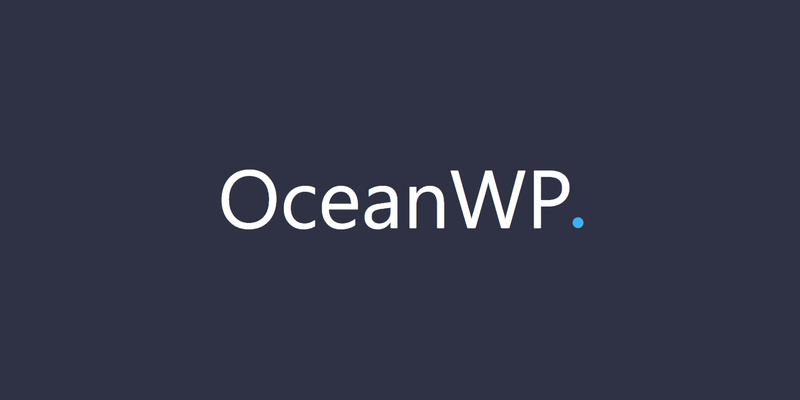 In case you’re not familiar with the WordPress page builder world, OceanWP is a free multipurpose WordPress theme that gives you a ton of control for customizing your site’s design via the real-time WordPress Customizer. Not only that, it’s also blazing fast! The core OceanWP theme is free and listed at WordPress.org. Beyond that, it also includes a variety of free and premium extensions that can tack on additional functionality. In our OceanWP review, we’ll share more about what makes this theme so unique and popular. Why Is OceanWP so Popular? Basically, OceanWP’s main draw is that it gives you the power to customize your theme in a very user-friendly, intuitive manner via the WordPress Customizer, including deep support for WooCommerce. 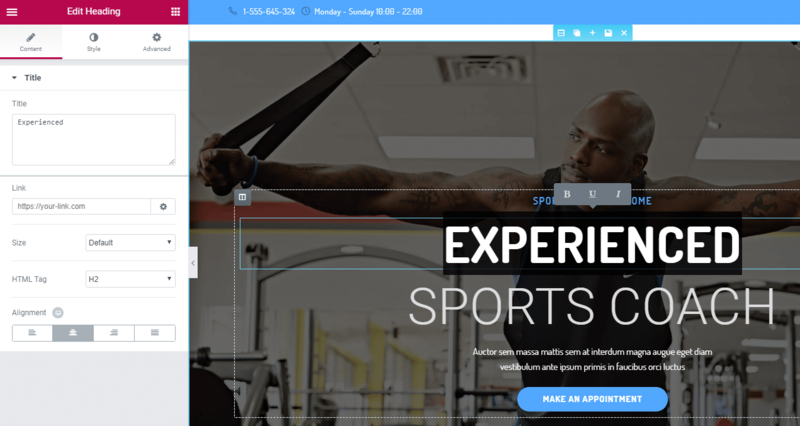 Beyond those controls, OceanWP also includes a variety of free and premium demo sites that allow you to quickly import a premade design, including WordPress Customizer settings and an Elementor template for the landing page. And all of this comes in a package that’s pretty lightweight compared to most WordPress themes. Which means its great in terms of performance. 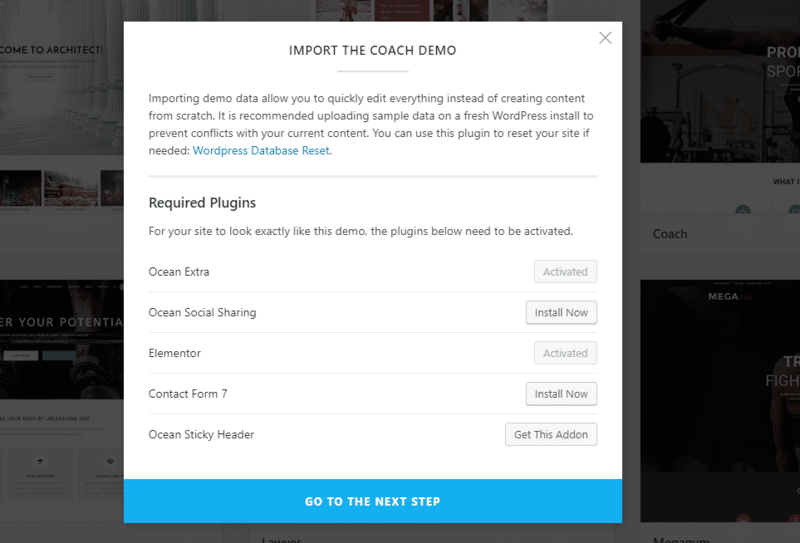 It’s easier to show you how the Customizer works with an already-built site, so let’s start with a quick look at how easy OceanWP makes it to import a demo site. 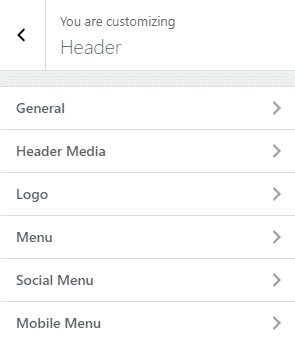 And to customize the rest of your theme, you’ll use the WordPress Customizer. The goal of this section isn’t really to show you every single setting (there are a lot more!). 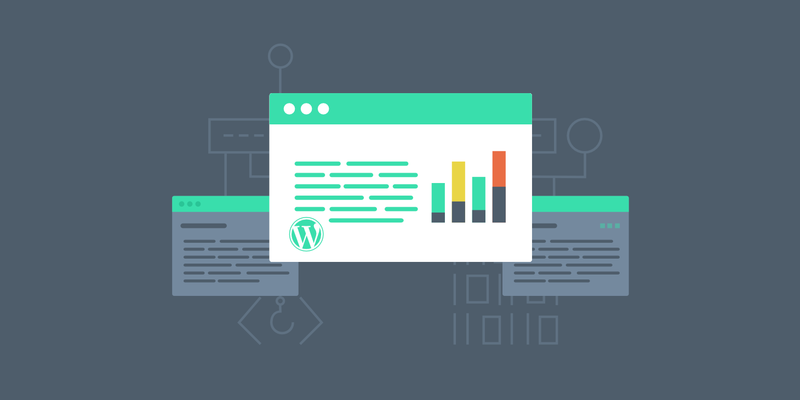 Instead, it’s to give you an understanding of the depth of control that you can expect from the WordPress Customizer and OceanWP. 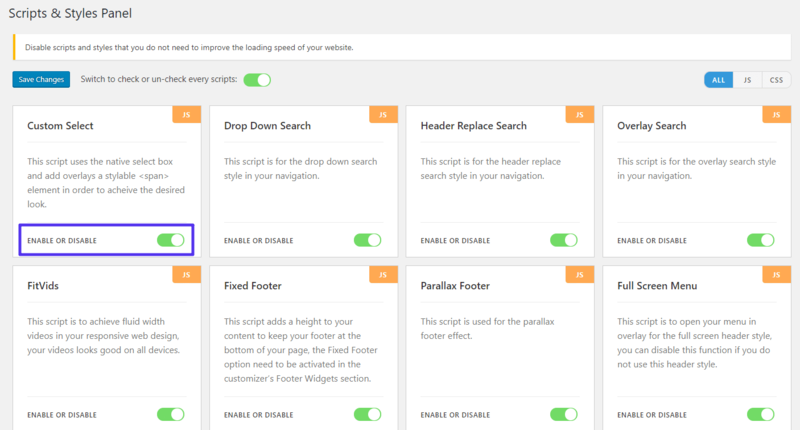 Beyond the demos and WordPress Customizer functionality, here are some other standout features of OceanWP that will make your life easier and give you a lot more flexibility when working on your site. 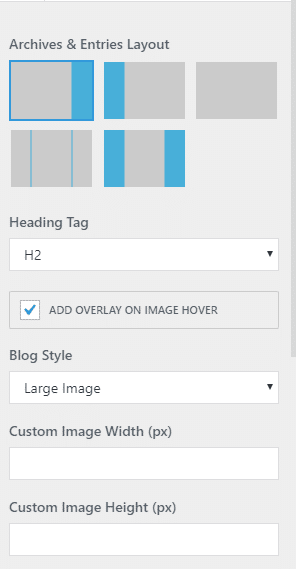 While these controls can be helpful in a variety of niche situations, they’re especially great if you are using OceanWP with a page builder because you can disable elements that would otherwise get in the way of your page builder. Basically, this area lets you disable the stuff that you’re not actually using to speed up your site. Hooks make it easy to insert content into different areas of your site without needing to edit the theme’s code directly. For example, you could use hooks to inject an ad below your post title, or just add general content anywhere else. Once you get the hang of hooks, they’re super helpful. And when it comes to hooks, the premium OceanWP Hooks add-on doesn’t disappoint. While hooks themselves aren’t unique in themes targeting this niche, the conditional logic and user role targeting is. So far, we still haven’t even touched on many of the other free and premium extensions. But remember – OceanWP also lets you add tons of other helpful functionality. In case you’re wondering why there are so many extensions, this is actually a nice approach because it keeps things modular. Rather than forcing everything into a single theme where you may or may not want all that functionality, OceanWP lets you pick and choose the exact functionality that you want to keep things lightweight. We were curious to see how OceanWP performed, so we ran a few speed tests. 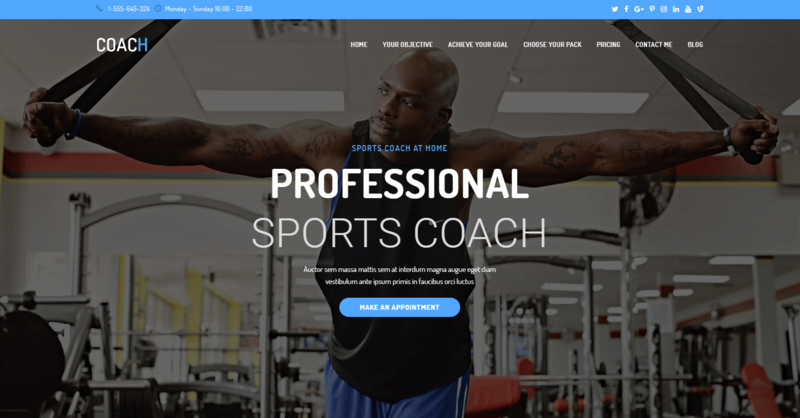 We imported the full Sports Coach demo content on our dev site (which is hosted here at Kinsta) and tweaked a few small things. Elementor is also installed, as recommended by OceanWP. We disabled Google Maps from the footer. This is a well-known performance killer and honestly should never be on a home page ever! 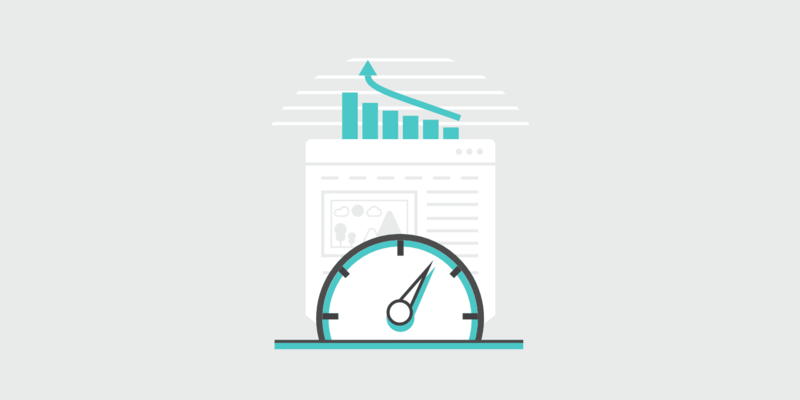 We enabled the Kinsta CDN so that assets would load as fast as possible from wherever we ran the tests. We added Google Analytics to more closely mimic a production site. We then ran five speed tests and took the average. Wow, 😲 744 ms? That’s pretty great for literally one-click importing the demo content and making three small changes. 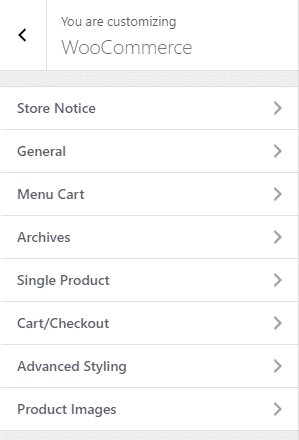 Remember, with the Scripts and Styles Panel you could easily go through and optimize this some more. But it’s great to know that pretty much right off the bat with OceanWP, you can expect great performance! How Much Does OceanWP Cost? The core OceanWP theme is 100% free. And there are also 7 free extensions that you can find at WordPress.org. If you want the premium extensions, you can either purchase them individually starting at $9.99 each for use on a single site. Or, if you want access to all 11 premium extensions, as well as all of the Pro Demos, you can purchase the Core Extensions bundle starting at $39 for a single site license. If you want to read more about why Nicolas, the theme’s developer, decided to go with this payment model, check out his post at Freemius for some backstory. Because most of the core OceanWP functionality is free, you can download OceanWP from WordPress.org and play around with it at no risk to your wallet. While the premium extensions definitely add helpful functionality, you should be able to get a good grasp of the theme from just the free version. Then, if you like it, you can always add those premium extensions later on. Now over to you – have you ever used OceanWP? How do you think it stacks up to other multipurpose WordPress themes? No problem Nicolas. It’s well deserved. Keep up the great work! Easily the best theme I have ever used Nicolas is a very talented WordPress developer. Great review. Glad to hear it David! I’m sure Nicolas appreciates that. it is a really good and fast theme, and the results it gives in return are amazing! Glad to hear the OceanWP theme was a success for you! I used OceanWP on a demo site when presenting at my recent WordPress Meetup. It is a great theme. I like a theme to do as much of the heavy lifting as possible, so I don’t need to tweak every little detail. OceanWP does a great job of this and provides a tremendous amount of control. Awesome, glad to hear it Mark! Still sold on GeneratePress, but will definitely give OceanWP a try. Thanks for your review Brian. I love Kinsta’s image border styling. Are these created with a plugin? Hey Steve! Yes, we recommend both OceanWP and GeneratePress. Both are amazing themes and great in terms of performance. Thanks Brian for the CSS! Will give it a try. Thank you, this was so helpful! 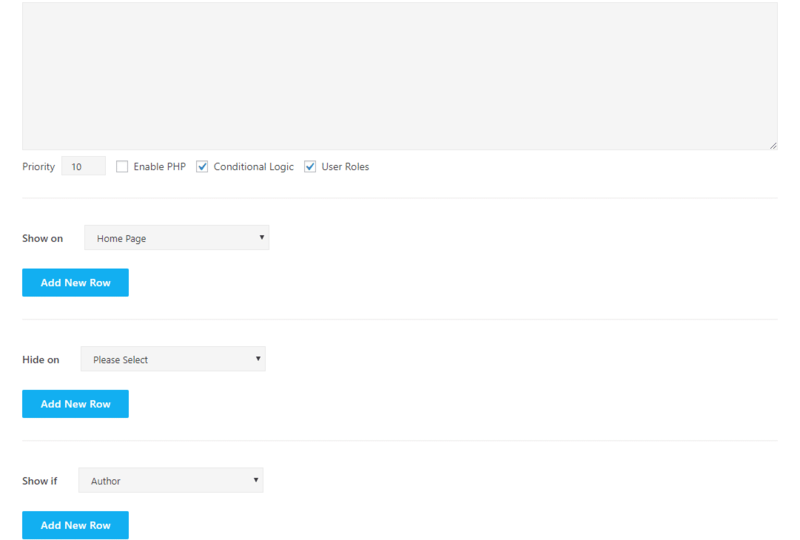 I am trying to figure out if I can set presets for the individual post controls so that the settings are sitewide for all of my posts rather than having to set them each time per post. Any help would be much appreciated, thank you! We recommend reaching out to their support team. Nicolas, the developer, is always very helpful. I’m somewhat of a beginner. I’ve installed the OceanWP theme several times. But, all I get is a plain white and black generic looking blog. What am I doing wrong? 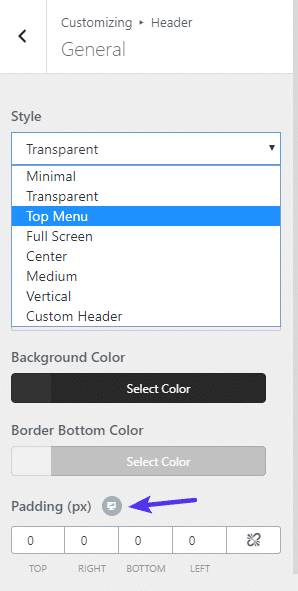 By default, OceanWP is pretty basic to allow you to customize it how you want. 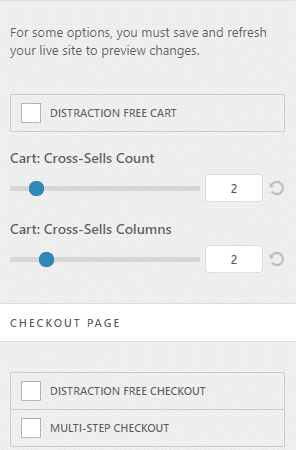 If you want to jumpstart the process, you can import one of their demos (https://oceanwp.org/demos/) and instantly have a nice looking site.